The email administrator warning message that your mailbox is nearing its size limit. The attachment that can’t be attached because it’s too large. The emails you forward to your personal account so that you can finish work at home and meet your deadline. Most of us have faced these situations before, and perhaps some still deal with these situations today. These are 3 examples of obstacles that can be overcome when a business transitions to Cloud office systems. If you are considering a transition for your business to a Cloud office system, such as Microsoft 365, or G Suite (formerly Google Apps for Work), what can help you build your business case to accept the new venture and plan effectively? First, perhaps we should clarify, what exactly is a Cloud office system? It is a collection of applications for employees to handle many of their common functions such as creating documents, presentations, spreadsheets, databases, messaging, calendaring and more, like Microsoft Office’s suite of Word, Excel, Powerpoint, etc. In the Cloud though, whether Microsoft operated or not, these programs and the files created from them are NOT locally installed from a disk and run on each employee’s computer. The storage lies in a secure, enterprise data center as determined by your Cloud office system provider. By using your own safe log-in credentials, you are able to access these files and programs over any desktop or mobile device. Not sure if this sounds like it can be adequately secure? “Unlimited” Storage: the data storage available for your individual users can be opened up far beyond previous limits, all without purchasing and installing more hardware or advanced computers for your physical office. No rearranging of hardware in your data closet, and no going back to the days of taking apart employees’ computers to add storage on their hard drives. OpEx Model: instead of running capital expenditures for each desktop requirement, often unpredictably, a Cloud office system operates by a lower monthly subscription fee for the number of users required in any given month. This allows for much more predictable operating costs and forecasts. Secure Employee Mobility: Mobile employees do not need to save sensitive information locally on devices that can crash or easily be stolen, as they can have safe access to their documents from anywhere through the Cloud office system. Employees who take their work home with them don’t need to send documents to their personal email for access at home, but also from home can access the same files and programs in the Cloud office system as in the office. Analytics for Personal and Team Evaluations: Whether for individual employee use or for a manager to review his or her team, Cloud office systems can provide reports and dashboards to see how you really work and improve how you budget your time. The advantages in the end can make work simpler, and allow IT employees to focus more on strategic planning and much less administering individual desktops and hardware. However, the journey to transforming your business from the silo desktop model to a Cloud office system still requires careful planning. Which Cloud office system suits your business best? For example, if choosing between Microsoft 365 or G Suite, engage specific users for awareness sessions on the possible solutions to be educated and weigh-in on the decision. Employee acceptance of the final decision cannot be undervalued. Do you have the resources to determine and navigate licensing needed for each individual user? Licensing and the monthly subscriptions can be scaled down for basic users and conversely expanded for users who need more programs and access. Also, do you have the resources to train employees and perform the migration to the new system, or should you use a partner/reseller to lead the migration? Will the older legacy methods of working be decommissioned? Gartner research strongly recommends this to be done, If not, many users could find it easy to revert to the old ways, which would lessen the benefits of the sharing and mobility on the Cloud office system. According to bettercloud.com, in just the first 18 months of Microsoft 365 becoming available, 1 in 5 of Microsoft’s enterprise customers had purchased licenses for the new platform. 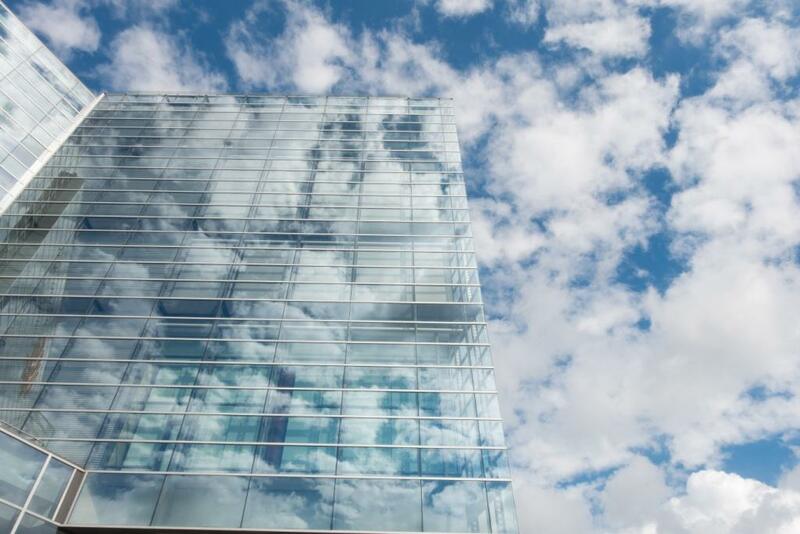 Overall, GTRI predicts that this year, 33% of enterprise users will be on cloud office systems. With the advantages available for employee flexibility, financial planning, and IT strategies, a Cloud office system has much to offer for your business.